Jits Revolution 2 – held a pro grappling event August 11th in Murfreesboro,TN. 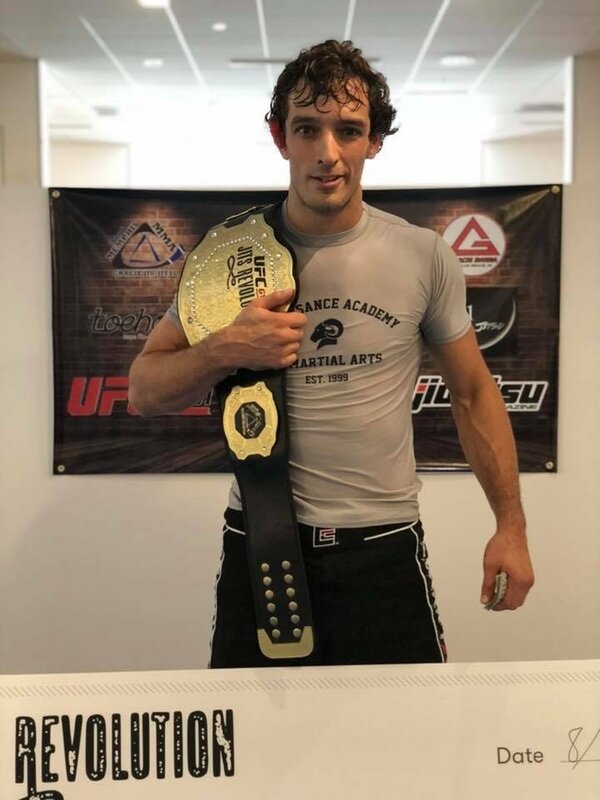 Just one month after being awarded his Black Belt in Jiu Jitsu, Caleb became the newly-crowned Jits Revolution II champion. The finals was a match between Elijah Carlton and Caleb. Both guys had finished all of their opponents in regulation. Caleb was able to submit Elijah, from the back to become Jits Revolution Invitational 2 170lb Champion! He walked away with a championship belt and $1,350.